We are proud of two Orange 4-H youth who are the inaugural contestants in the new 4-H Table Setting competition. Dorothy Kennon and Hayden Rogers put together great displays and deserve special recognition. 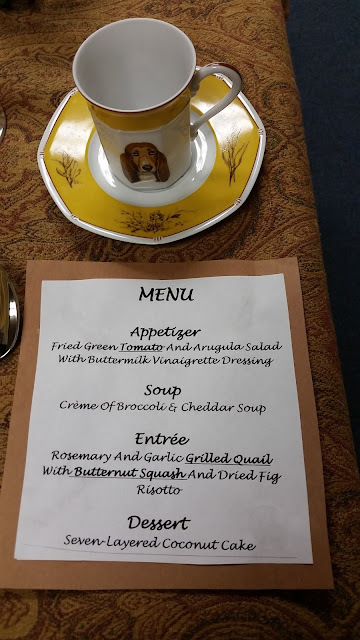 In the table setting event, participants plan a meal (no actual food preparation) and matching decor according to a theme. 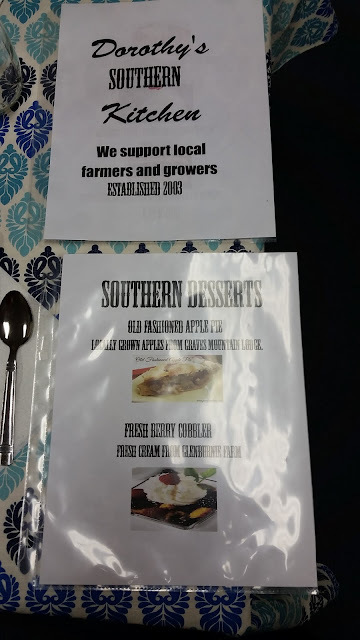 The meal must include Virginia-grown agricultural products, and each 4-H member prepares a presentation for judges about the foods they chose for their menu card and why. 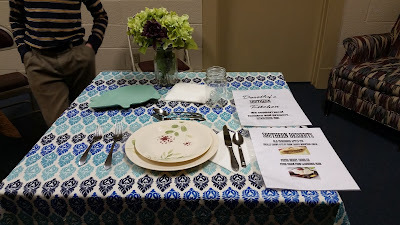 Additionally, linens, tablescapes, place settings, and drinkware should match the theme. 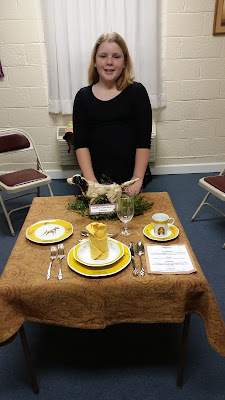 Hayden chose a sportsman's dinner, including wild game on the menu and colors of gold for her theme. 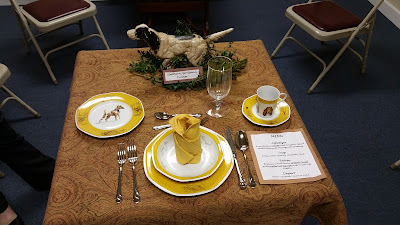 She even had bird dog china, borrowed from a family friend, and a statue of a bird dog surrounded by boxwood clippings. 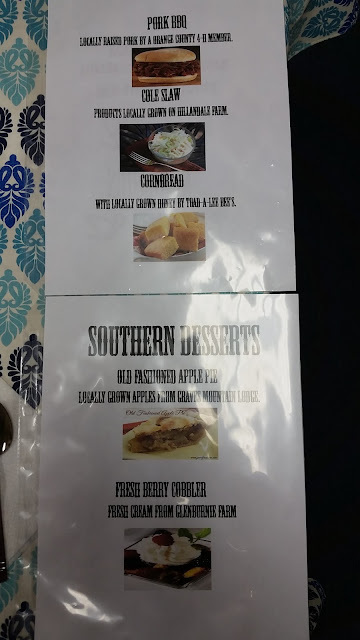 She chose a pleasing color palette of blues and teals, and made menu cards complete with photos of each item she would offer. Congratulations to both members for a job well done! It's never easy to be the first at something, but you did it and did it well. Hopefully both ladies will advance to the county contests on March 24 and the district event April 9. If you are interested in table setting, it's not too late to compete at the county contest. Click on this link for a complete contest description and score card. Contact the Extension office if you have questions.